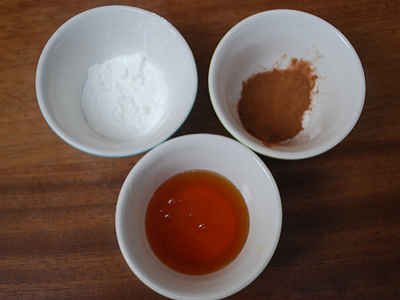 I am experimenting more and more with spelt flour not only because it has a wonderful, wholesome flavour but also because of its health benefits – it’s much less processed and very low in gluten. 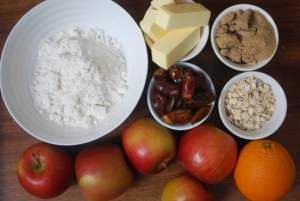 Apples are wonderful for digestion and oats a great source of slow-releasing energy. The dates give off lots of sweetness so feel free to lower your maple quantity. I just have a very sweet tooth! 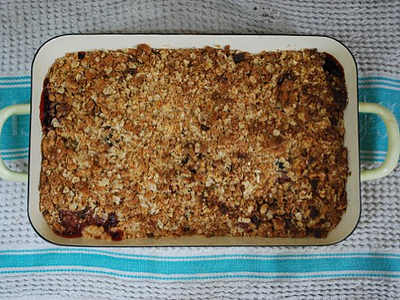 Our Rhubarb and Date Crumble is also delicious, as is our Rhubarb and Apple Crumble too. I often cook this in advance and when it's cooled, spoon large dollops into silicone muffin trays and freeze for my kids to have another day. It tastes just as good and is great to have to hand. Pop your chilled butter, flour and sugar into a Magimix and blend briefly (you don't want to overwork the flour or heat the butter). If you don't have a Magimix then mix by hand using your fingertips rub the flour and butter together until the butter disappears. 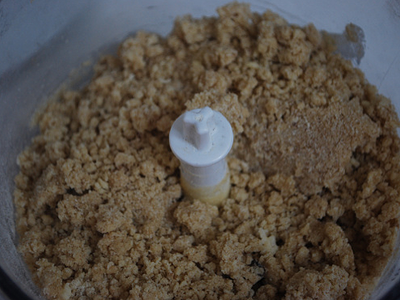 Then add the sugar until you have a nice, breadcrumb/crumbly topping. 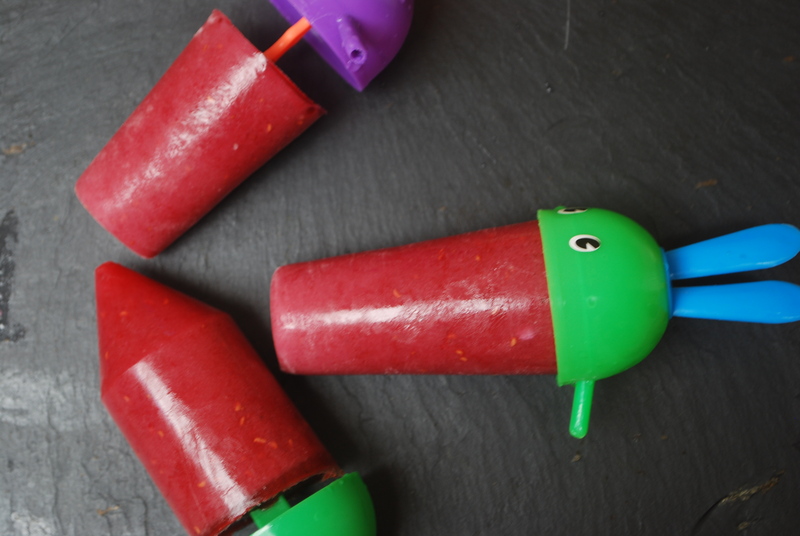 Keep this chilled in the fridge. 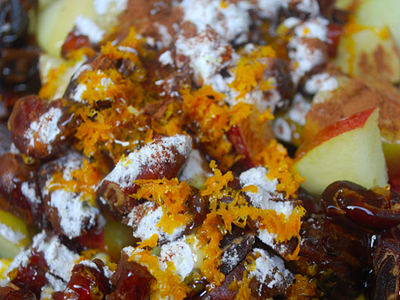 Get on with chopping up your fruit, dates, etc and place in a ovenproof dish. Drizzle over the maple syrup and mix in the orange zest. Next, mix in the cornflour and cinnamon. 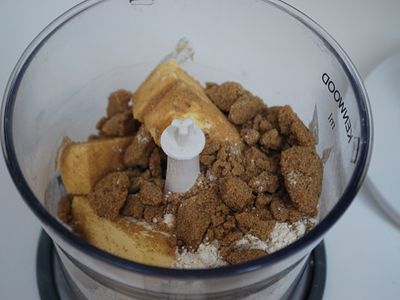 The cornflour thickens the juices of the fruit as it cooks and cinnamon adds that deep, cosy flavour. 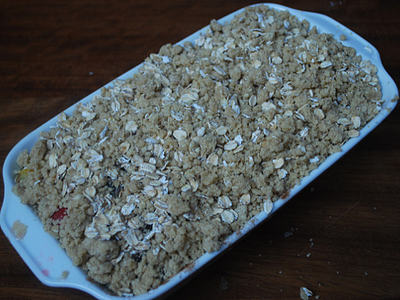 Sprinkle over the chilled crumble mix and pop in the oven for 30-40 minutes until cooked through. If tested with a cutlery knife the apples should feel soft and not resist being cut into. 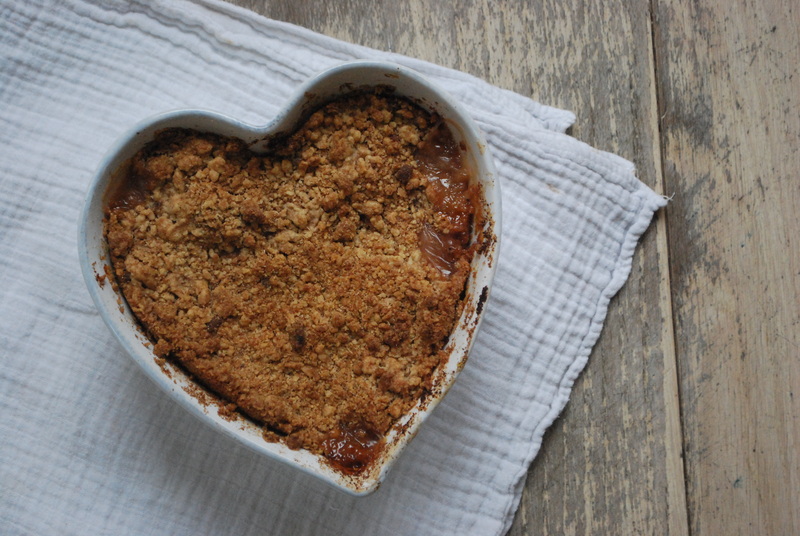 If you test it and it does not feel like the apples are softening as much as you would like it may be getting a touch dry inside your crumble so I often pour a little water in the corners of my dish (just a tablespoon or so) to help create a more steamy environment. This would be great for sore tummies. If you suffer from GERD or acid reflux it might be best to leave out the orange zest. 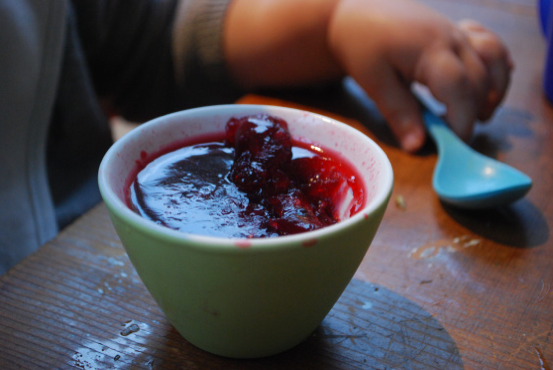 You can also make these in individual ramekins and they freeze brilliantly both before and after cooking.